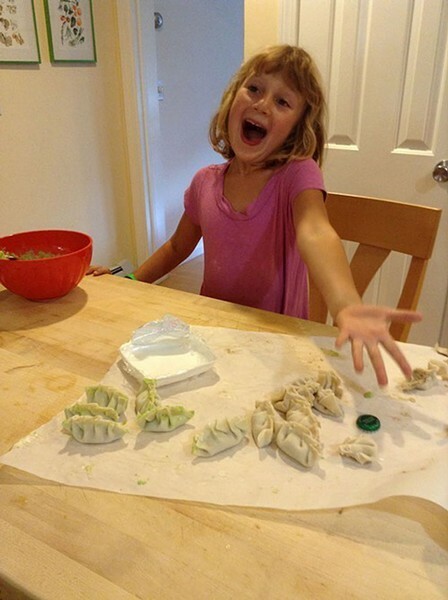 Kitchen Creativity | Editor's Note | Kids VT - small people, big ideas! Despite being the daughter of an art teacher, I've never been particularly talented at painting, drawing or sculpting. And crafts? Forget about it. You won't find any impeccably organized scrapbooks, hand-knit mittens or Mason jar lanterns in my house. I even failed home economics in 8th grade because I couldn't finish a stuffed-animal sewing project. One place I'm better at channeling my creativity is in the kitchen. I'm the type of home cook who likes to find a recipe that looks yummy, then improvise — subbing edamame for peas, adding a splash of coconut milk to soup broth or toasting big chunks of baguette coated in olive oil to make croutons. For me, cooking is relaxing, fun and a way to be artistic without actually, well, making art. I've passed this love on to my two kids. When they were little, we'd make banana muffins or applesauce together. Now, we take on more ambitious projects. On a recent Friday night, my 11-year-old daughter, Mira, and I had a "girls' night in," preparing homemade pita and hummus, spiced beef, and rice pudding with blackberries. And my son, Theo, just asked for — and received — an air fryer for his ninth birthday. In this month's issue, we write about a group of St. Johnsbury Academy high schoolers who are turning out gourmet food three times a week. 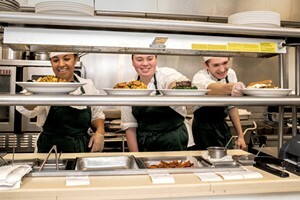 As students in the high school's culinary arts program, they serve as prep cooks, chefs, hosts and waitstaff at the Hilltopper, an upscale student-run restaurant on Main Street. There, they learn cooking techniques and get professional experience. 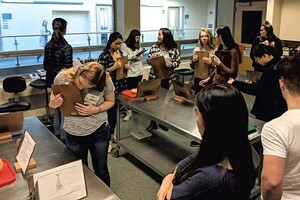 Read all about the program in "Hot Lunch" by Mary Ann Lickteig. Our second feature story gives readers a behind-the-scenes look at the popular Vermont Public Radio program, "But Why: A Podcast for Curious Kids." In "Wonder Women," Dan Bolles talks with the podcast's host, Jane Lindholm, and producer, Melody Bodette — both moms of young children — about how their show offers kids and their parents the opportunity to learn and be entertained. We cover a wide-range of other topics in this issue, from a movement class for kids with special needs run by University of Vermont dance students to a neuroscience competition for high schoolers called the Brain Bee to a rural library's maker space, which just happens to be funded by the world's top brewery. 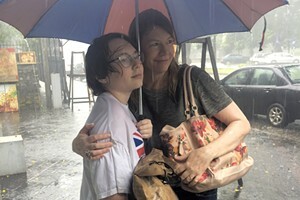 And you won't want to miss Nancy Stearns Bercaw's harrowing personal essay chronicling her son's bout of dengue fever. We continue our summer preview this month with a camp section. 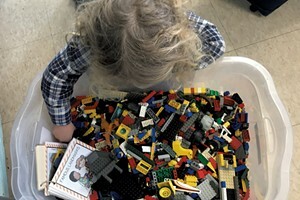 Inside, you'll find information about many different programs, as well as an article in which camp staffers share stories about a special place at their camp. We'll be grilling up burgers and making s'mores before you know it!